This section is not intended to be a review of existing CDs. Good critics have done this already, and are experts on the subject. I just wish to draw your attention to particular works and interpretations. 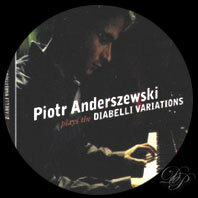 The “Diabelli Variations”, Opus 120. 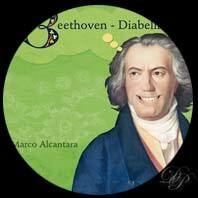 Anton DIABELLI, Austrian composers (1781-1858), pianist and teacher, was also an editor of music. In 1819, he asked many composers to write variations on a waltz of his composition. Beethoven found the theme lacked interest; nevertheless he set to, the irregular way to his work which was to be played in June 1823 at published the same year. The variations are in C major, except for numbers 9, 29 and 32, which are in C minor. 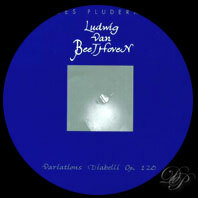 Beethoven's 33 variations on a waltz by Anton Diabelli are known under the title 'Opus 120'. Anton Diabelli, composer, professor of music and editor, produced a light, simple theme in 1819, for variation by all whom Vienna counted as composers. 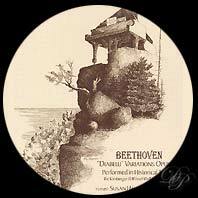 Beethoven's 33 variations became the object of a special collection. It was only in 1824 that the variations of the 50 composers were edited. Only by looking at the CD do we already know that it will be a very special CD. We have a first confirmation while reading the 173 pages of the ‘booklet’ (half in English, the other half in Portuguese). The second clue comes from the mention ‘played on a piano with historical tuning’. 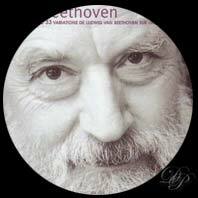 And, last but not least, one can have the pleasure to listen to 17 sketches left by Beethoven. Marco Alcantara's interpretation shows the talent of a great artist. 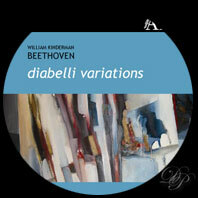 This wonderful double CD presents not only a great interpretation of the Diabelli Variations played by the pianist William Kinderman but also a lecture made by the Professor William Kinderman. Both CD are of great quality. The pianist expresses the variations with an important variety of colors, and his touch is both strong and delicate. The lecturer tells us about the creation of the variations, Beethoven’s work of composition and research, and illustrates his speech with musical examples. It is a great pleasure to listen to William Kinderman showing us the path to Beethoven’s music. 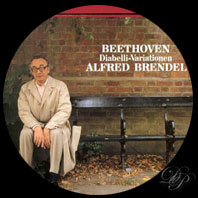 Alfred Brendel use to say about Kinderman: ‘A very rare bird’! 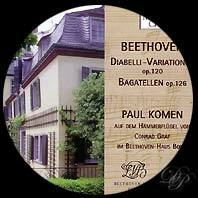 Paul Komen performs the 33 Variations of Diabelli and the Bagatelles opus 126 on the Conrad Graf of the Beethoven-Haus Bonn. Paul Komen brings feeling and mystery to the work and exploits the pianoforte with clarity and finesse. A recording to keep for amateurs of early pianos. 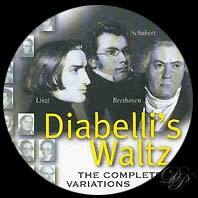 This recording is particularly special because the Diabelli Variations are performed on a piano which has been tuned in the same way that pianos were tuned in Beethoven's day. Susan Halligan, with the help of Paul List, inteprets this work faithfully and with life. And the sound is not at all spoiled. 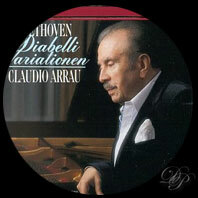 There is a commentary, at the end of the cd which compares the period piano and the modern day version. Here are the 33 variations of Uri Caine on the 33 variations of Beethoven on a theme by Diabelli. On listening attentively, one can discover that the arrangements and improvisations are sometimes symphonic, sometimes a bit jazzy, sometimes intimate. Respectful of Beethoven's work, which certain variations recall to life, this curiosity has a place in your CD collection. 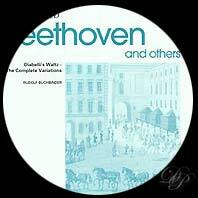 In 1971, Michel Butor wrote the Dialogue with 33 variations of Ludwig van Beethoven on a waltz by Diabelli. Nine years later, Michel Butor met the pianist Jean-François Heisser. Together they present a lecture-concert. Actes Sud - 1 book and 1 cd - 220 pages - 2001 - ISBN: 2-7427-3491-0.